Anniston High School has an All-American in its midst. 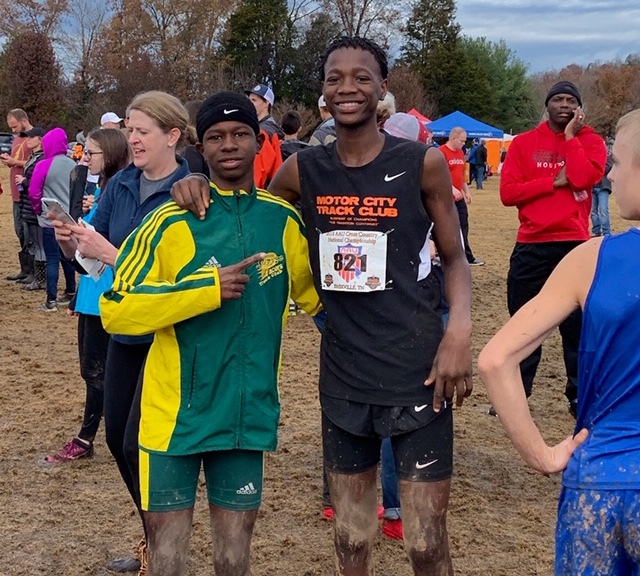 Christian Myles, a freshman runner in the Bulldogs’ cross-country program, finished fifth among 13-year-old boys at last weekend’s AAU Cross Country Nationals at Victor Ashe Park in Knoxville. Running for the Motor City Track Club – the same club Anniston coach Lisa Howard ran for when she was in school – he posted a time of 15:14:28 on a sloppy track in the 4K race. It was 11th overall in the 13-14 race. It wasn’t unexpected. He went into the race looking for an All-American finish “to make my coach proud” after a fall of hard training. He burst on the scene last year when he scored the clinching spot in Anniston’s celebrated team county championship in 2017. He finished fifth in this year’s Calhoun County Championship and 29th in the Class 4A state championship race. Two other Calhoun County runners ran in the meet. White Plains’ Luke Larson was 16th in the boys 17-18 race (19:49), to earn All-National honors, and Anniston’s Jackson Hicks was 52nd in the boys 15-16 race (21:01).